I have had a passion for writing for as long as I can remember. In sixth grade I wrote a parody of "Star Wars" that caught the attention of my teacher, who recommended I attend a young writer's workshop. In my teens I discovered Stephen King and John Irving, and decided I wanted to be a novelist. After high school I spent six years as a U.S. Navy journalist. 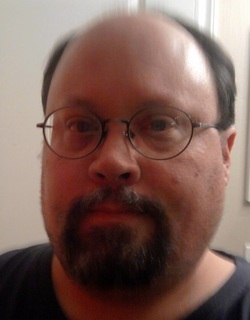 Since 2005 I have worked as a freelance writer, contributing articles to web sites like the Democratic Underground, Blogcritics.org and Helium.com. "Awake" is my first novel. I am currently planning my second and third novels: one will be the sequel to "Awake," while the other explores the idea of, what would happen if a super-hero was corrupted by his power? Driven by grief and insomnia, Charles Matheson struggles with his day-to-day life, until one day he discovers a portal that takes him to another world, a world almost like our own. In this world he is pursued by a government agent who has a history with Matheson -- a history both men have long forgotten. Matheson has also forgotten that he has an incredible power: the ability to move through space and time with just a thought. As he learns more about his power, he uncovers a conspiracy reaching to the highest levels of government, with his very life at risk as he tries to come to grips with a power that can change the very fabric of space itself.